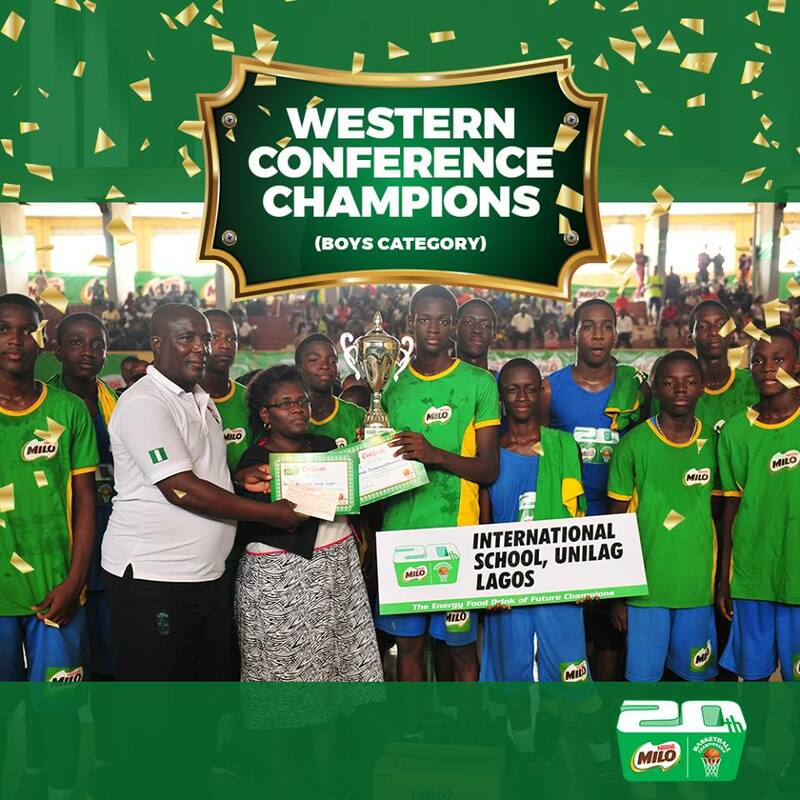 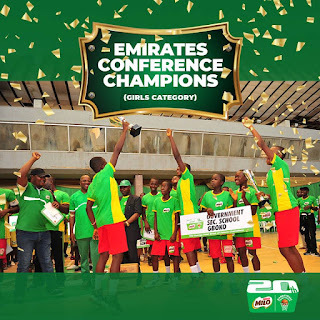 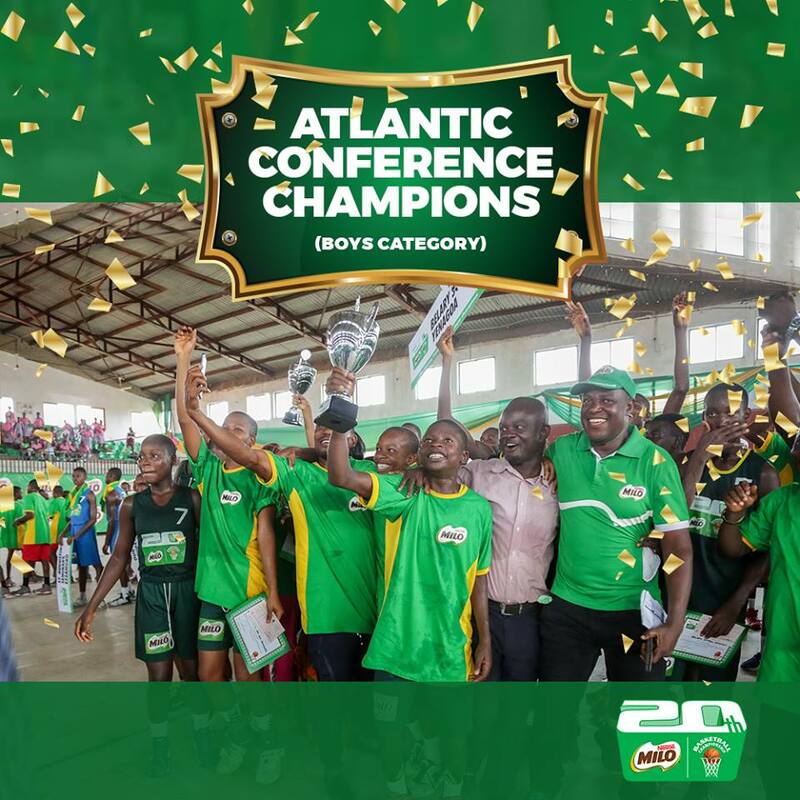 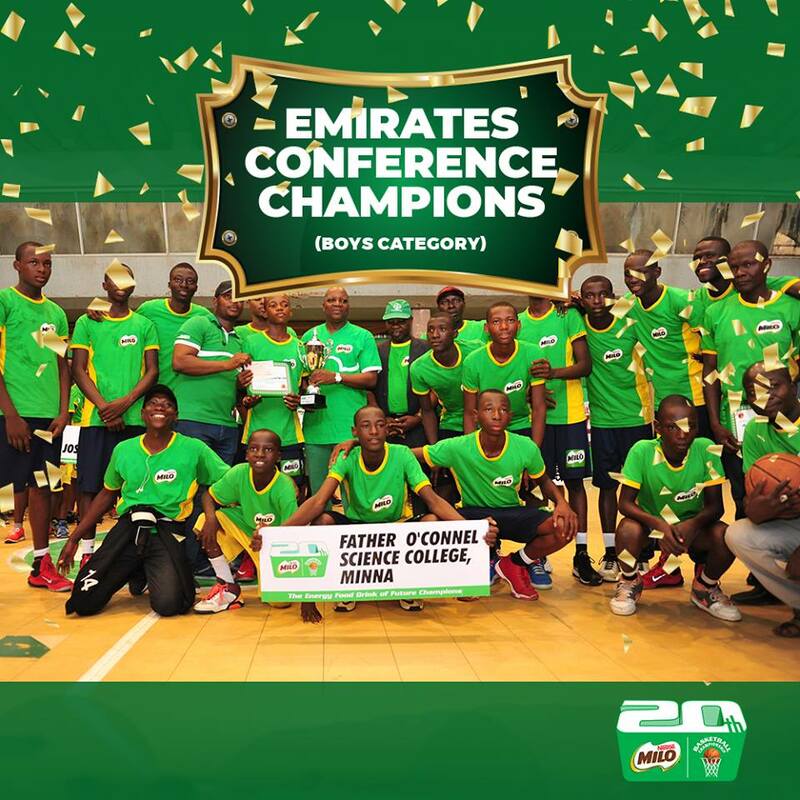 The 20th Edition MILO Basketball Championship Atlantic Conference [Benin],Central Conference [Abuja], Emirates Conference [ Ilorin],Western Conference [Ibadan] and National Finals [Lagos] Tournaments Winners Nationwide. The The 20th edition of the MILO Basketball Championship Tournaments is already ongoing and winners from different Secondary Schools in each States where the Tournaments are being held are now emerging. 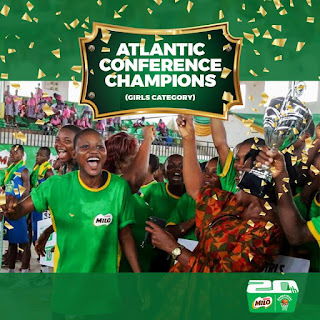 The Finals of the Atlantic Conference, Benin was held at the Indoor Sports Hall, Samuel Ogbemudia Stadium, Benin City and the tournament was between the Bayelsa girls Vs Edo girls and Bayelsa boys Vs Ebonyi boys. a. 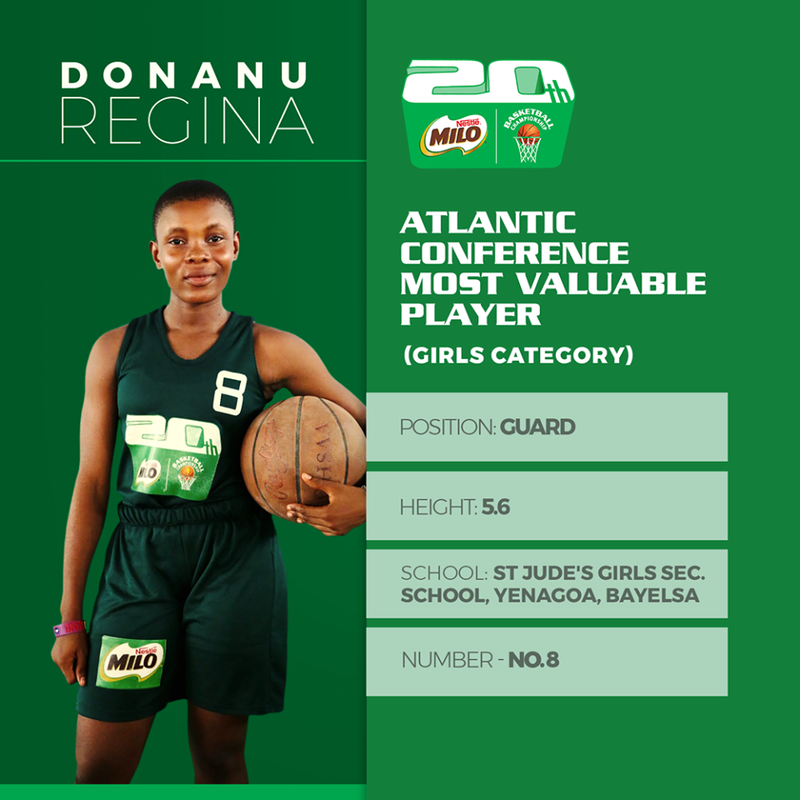 Miss Donanu Regina - Emerged as the Atlantic Conference Most Valuable Player (MVP) in the Girls Category from St. Jude Girls Secondary School, Yenogoa, Beyelsa State. 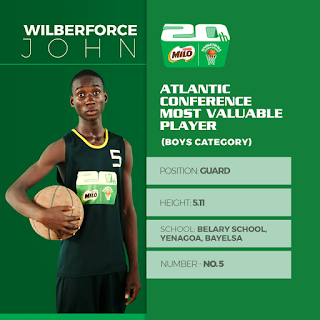 b. John Wilberforce - Emerged as the Atlantic Conference Most Valuable Player (MVP) in the Boys Category. 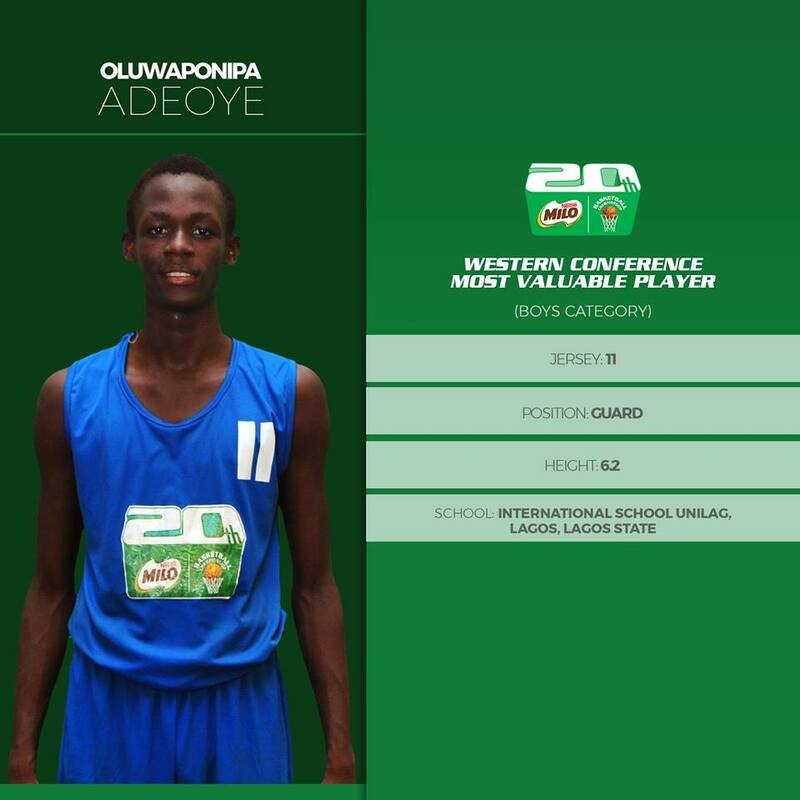 He is from Belary School, Yenogoa Beyelsa State. 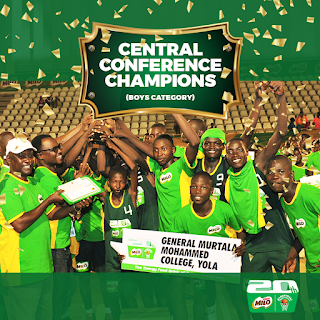 The Finals of the Central Conference [Abuja] was held at the Indoor Sport Hall, National Stadium Abuja. and the tournament was between the FCT ABUJA Girls Vs ADAMAWA Girls and BAUCHI Boys Vs ADAMAWA Boys. 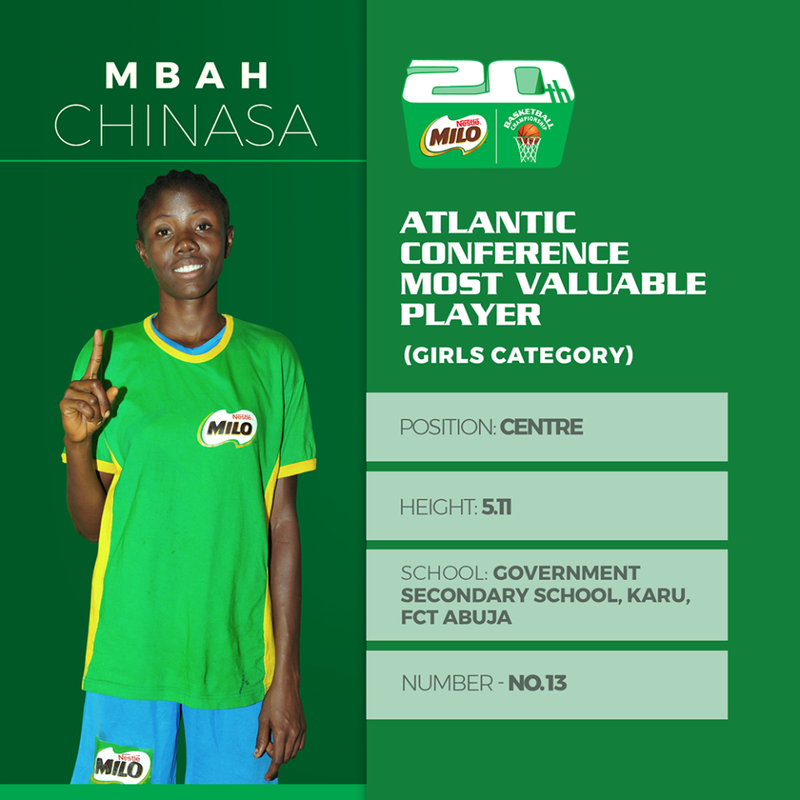 a. Mbah Chinasa Glory: Emerged as the Central Conference Most Valuable Player (MVP) in the Girls Category from Government Secondary School, Karu FCT Abuja. 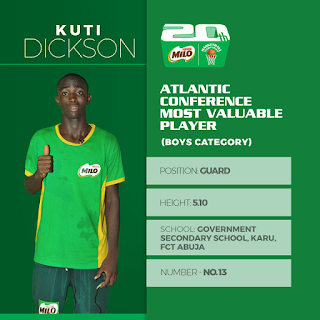 b.Kuti Dickson: Emerges as the Central Conference Most Valuable Player (MVP) in the Boys Category from Government Secondary School, Karu FCT Abuja. 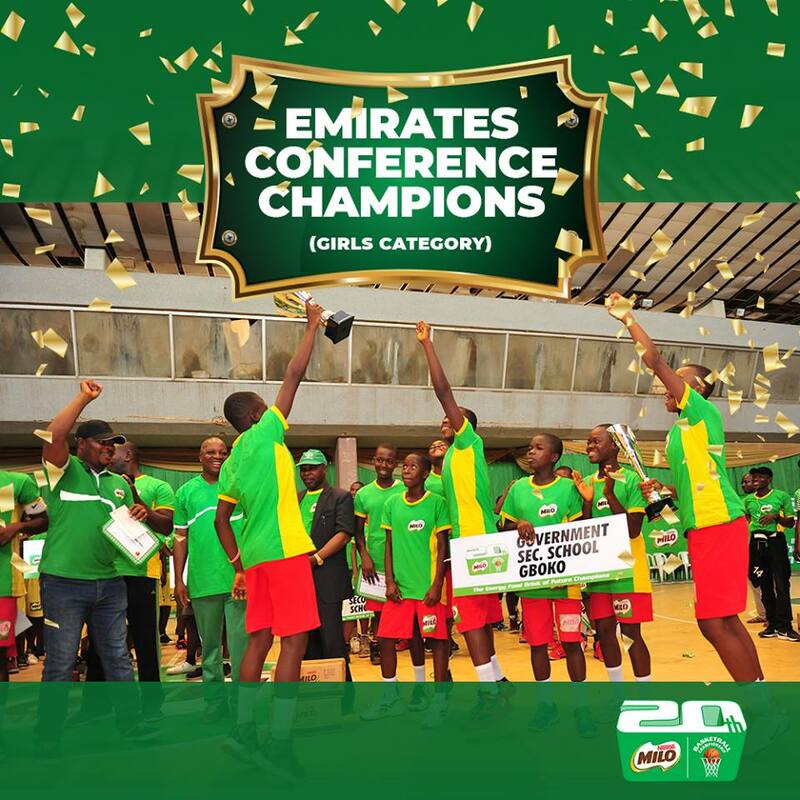 The Finals of the Emirates Conference [Ilorin] was held at the Ilorin Township Stadium, Ilorin, and the tournament was between the Benue Girls Vs Niger Girls and Niger Boys Vs Kaduna Boys. 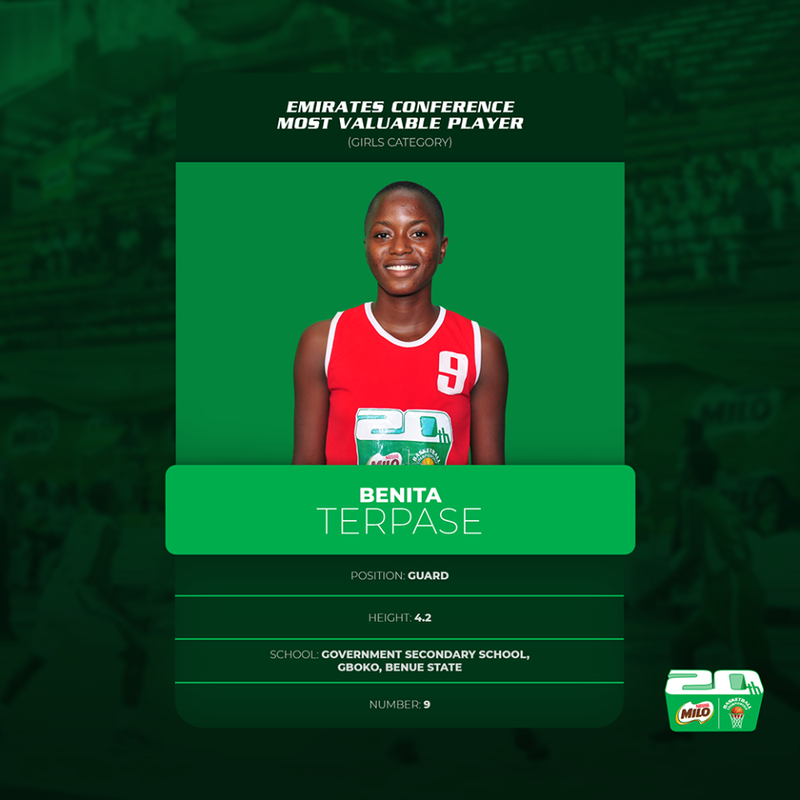 a. Terpase Benita: Emerged as the Emirates Conference Most Valuable Player (MVP) in the Girls Category from Government Secondary School, Gboko, Benue State. 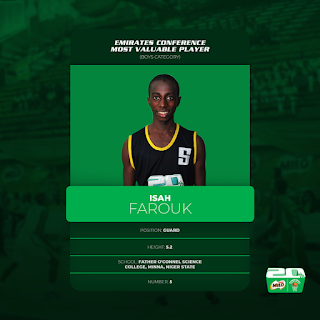 b. Farouk Isah: Emerges as the Emirates Conference Most Valuable Player (MVP) in the Boys Category from Father O'Connel Science College, Minna, Niger State. 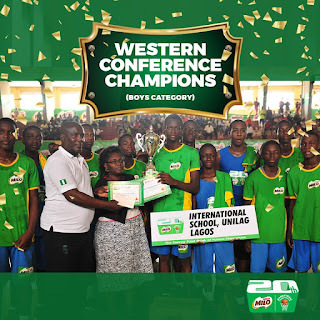 The Finals of the Western Conference [Ibadan] was held at the Lekan Salami Stadium, Ibadan, and the tournament was between the Lagos Girls Vs Oyo Girls and Lagos Boys Vs Ogun Boys. 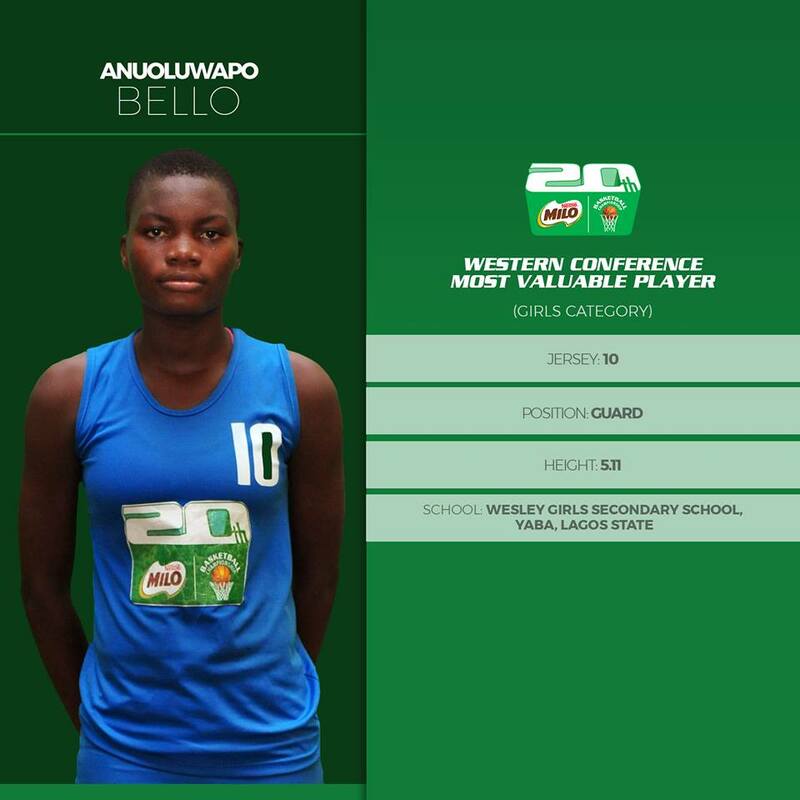 a. Bello Anuoluwapo: Emerged as the Emirates Conference Most Valuable Player (MVP) in the Girls Category from Wesley Girls Secondary School, Yaba, Lagos State. b.Adeoye Oluwaponipa: Emerges as the Central Conference Most Valuable Player (MVP) in the Boys Category from International School, UNILAG, Lagos State. At the end of the overall tournament of the Western Conference held in Ibadan, Wesley Girls Secondary School, Yaba, Lagos State won the overall prize/trophy in the Girls Category. 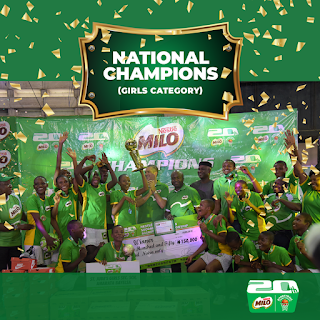 The Finals of the 20th MILO Basketball Champions was held at the Indoor Sports Hall, National Stadium, Surulere, Lagos and the tournament was between the Bayels Girls Vs Oyo Girls and Niger Boys Vs Adamawa Boys. 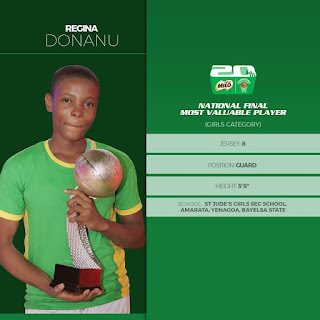 a. Regina Donanu: Emerged as the 20th MILO Basketball Championship National Final Most Valuable Player (MVP) in the Girls Category from St. Jude's Girls Sec. 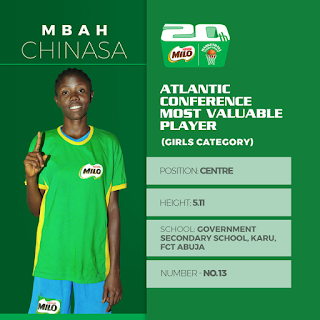 School, Bayelsa. b.Isyaku Usman: Emerges as the 20th MILO Basketball Championship National Final Most Valuable Player (MVP) in the Boys Category from Father O'Connel Science College, Niger. 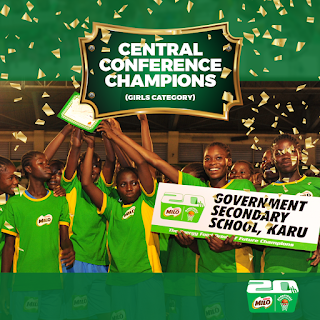 At the end of the overall tournament of the 20th MILO Basketball Championship, St. Jude's Girls Sec. 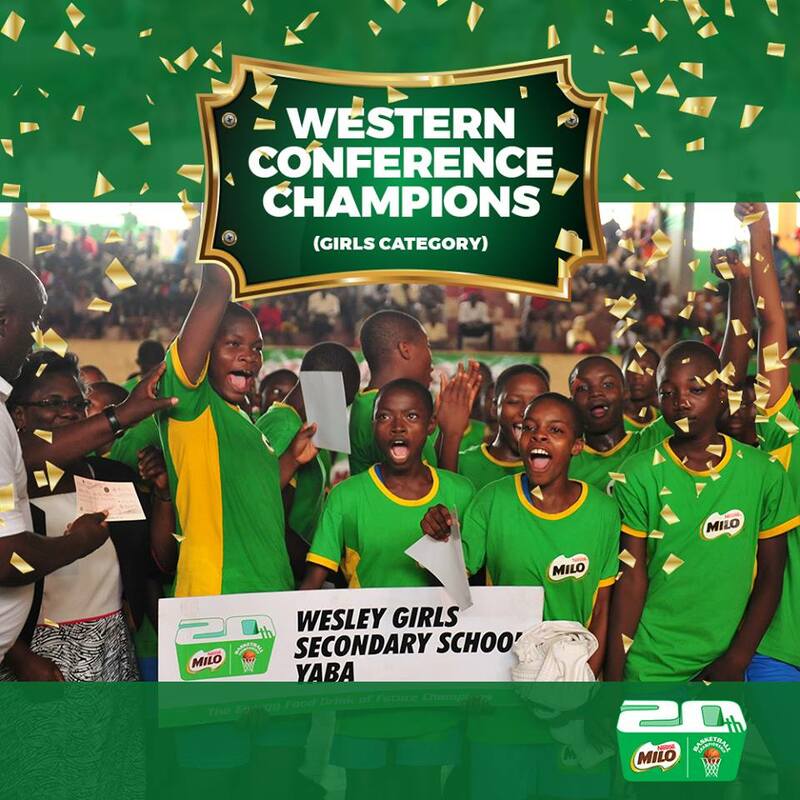 School, Bayelsa won the overall prize/trophy in the Girls Category. Thanks For Informing Us About This, I really Appreciate. 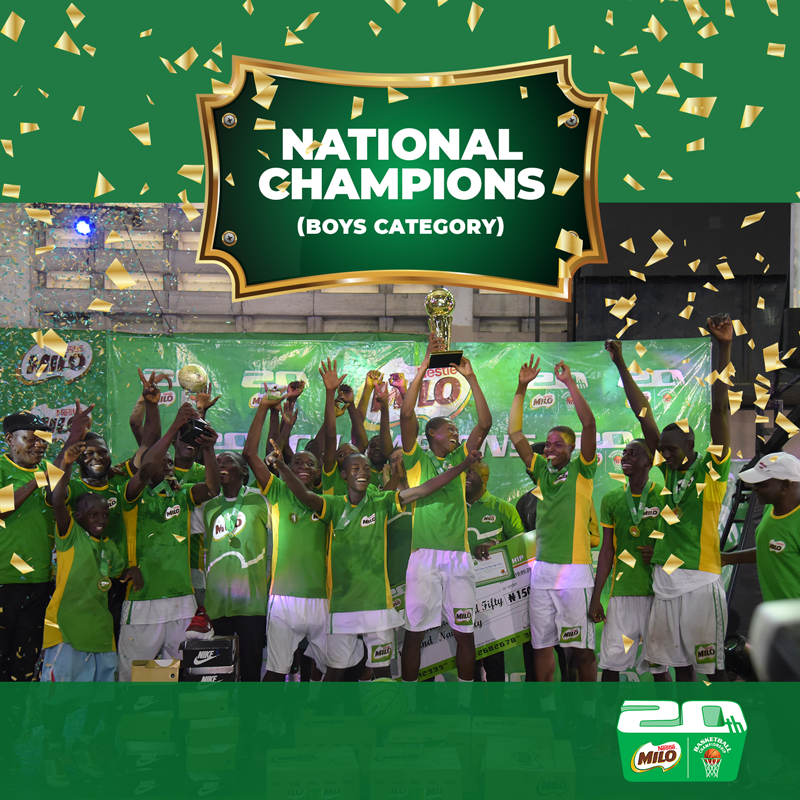 Thanks for stopping by bro, We appreciate!! !